Marcos Carvalho is CEO of Hapibot Studio, a design and development studio based in Portugal. He and his team work on really interesting problems beyond simple web and mobile apps, but that’s all I’ll say for now. He’s much better at explaining why the problems they tackle and solutions they deliver are so interesting. This is the first in a series of interviews I’ll be conducting with leaders and thinkers in the IoT world. The IoT and smart home industries are still very young, and although there are products and solutions out there, the really interesting stuff is still stuck in people’s heads. My vision is to interview people from different backgrounds and disciplines and get some unique perspectives on the future of technology. Not just smart home tech, but anything that bridges the gap between the digital and physical world. Although Marcos is a busy guy, he was very generous with his time and let me pick his brain on a number of topics. 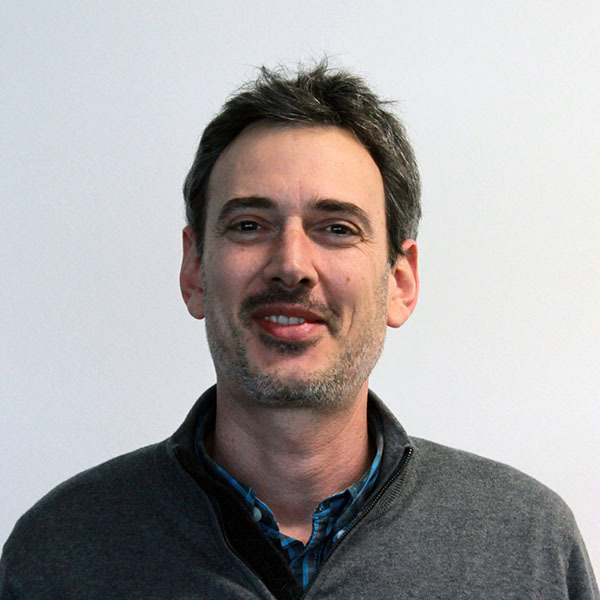 In this interview we touch on the IoT industry, security in IoT devices, how artificial intelligence is being used in our data-rich world and much more. So, without further ado, enjoy my interview with Marcos Carvalho. Tell me a little about Hapibot. What was your inspiration for creating it? Hapibot is a digital design and development studio. But, we add an additional layer to our clients’ apps. This layer can be delivered in the form of augmented reality, internet of things or artificial intelligence. By adding this layer of connected intelligence we offer companies and their customers this new level of interaction that truly empowers people. Simply put, we design and develop smarter applications. 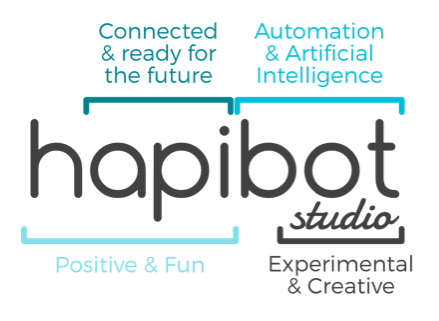 Hapibot Studio was born after reflecting about what technologies will impact our lives in the near future. The name Hapibot itself represents one name with various layers. It’s the combination of four areas that will dictate the next technological movement. API’s are the foundations for any software. API’s are the methods controlling how applications interact with each other, not user interfaces. API’s will govern software and serve as the connection mortar for digital hardware for years to come. Internet of Things is the next digital paradigm. The proliferation of devices and sensors will outnumber people in the world. It’s an ever connected world that is creating a new space of interaction with everything tangible within our society and environment. Artificial Intelligence will allow us to reach unthinkable perspectives and discover insights unreachable to us thus far in all fields of our society and industries. Augmented Reality opens a universe of experiences and forms of interacting with content and new dimensions. What is the most challenging problem your team has faced while building IoT solutions? Our greatest challenge surrounding IoT development has been essentially with connectivity and protocol fragmentation between different connected devices. If we are developing an app to manage various connected home or office devices and sensors, we consistently have to configure and adapt to each different device’s standards in terms of network communication and data format forms in order to communicate with our client’s software. For instance, there are just too many competing and incompatible connectivity standards for devices from low to medium range data rates such as LTE Category 0, ZigBee to Bluetooth. Simply put, IoT deployment is a complex interconnection of software and hardware working together. As an app developer, we go beyond scoping pure software architectures and dive deep into IoT hardware and infrastructure requirements. Selecting and recommending devices for an IoT project is an integral part of the process. We have to carefully examine each device’s role and study their potential integration flexibility or inflexibility, configuration complexity or concerns over any existing vendor lock-in disadvantages. IoT systems we use have become incredibly complex. They require an expansion in connection models, platform and communication protocol integration for greater cooperative interaction between devices and easier deployment. Our challenges are above all an industry challenge. How do you approach security in your IoT projects? What are some security mistakes you’ve seen people make? As an app developer, we arrive at an IoT project just one step away from the final user, which sometimes limits our security input. But understanding where we stand in this workflow of integrating hardware, communication, software, and the end user really makes us ask ourselves which stakeholder is truly responsible for IoT security? Is it the manufacturer? The service provider? The app developer or the end user? Or are we all? One thing we’re sure of, we should not leave security responsibility in the hands of our end users. Here at Hapibot Studio, we take a holistic approach to bring security to IoT projects, especially larger industrial projects. If the objective is to reduce vulnerabilities the solution can’t be solved by simply embedding a secure element into an IoT enabled device. We therefore take a three step process that reaches from end-to-end. The first step is to help the client assess the security it already has in its infrastructure and to provide an overall risk assessment of their entire system. The outcome of this assessment is usually a report which we provide with full details of all the existing and potential security issues. Ensure a non repudiation service, which involves some solution of digital signatures or incontrovertible proof of the validity and origin of all data transmitted. The third step of Hapibot’s security support is to recommend the implementation of any security tools required to address the needs uncovered in the assessment and app development process. The most common security mistakes we’ve found are related with people’s lack of knowledge. People don’t yet look at IoT devices as potential security breach points. There was a case where we found the IoT devices positioned in very accessible places to the public at large. This was a commercial establishment, but there was no physical protection consideration in place. Instead of fixing the devices in visible, but unreachable places, such as near the ceiling, they were at hand reach distances. A malicious intruder can easily crack open the device’s shell, reflash the device with their own firmware or retrieve any stored data. IoT represents a very new experience than what we’re used to in terms of internet connected devices. We need a new approach where we’re able to redefine and scale security solutions to comply with the needs of the IoT industry. There are already many innovations, products and organizations that are dealing with these issues. The Internet of Things Security Foundation is one of them. It’s a non-profit body that will be responsible for vetting Internet-connected devices for vulnerabilities, flaws and will offer security assistance to technological providers, system adopters and end users. What IoT technology/device are you most excited about right now? Beacons and wireless smart buttons are definitely two of them. We’ve worked with various brands such as Estimote and Flic.io. It’s just great fun developing applications for beacons and these smart buttons. It gives us this invisible real-world context power and an unparalleled physical reach. In our case, we love automating anything related with work processes. Anything that improves productivity. For example, we are developing an app for smart offices, whereby, in this case, Estimote beacons detect when a collaborator arrives at the office and our app individually delivers them their tasks for today inside their Slack team messaging channel. We’re building this mesh of integration between beacons and software we already use at the office and creating indoor location based triggers that deliver new levels of operational efficiencies. It’s pretty amazing how easy we can setup beacon or smart button triggers and create very specific events once our mobile devices detect a beacon or we a click on a smart button. For example, Flic.io wireless buttons allow us to simply tap on their button and automatically send a distress signal to family members and warn them about an emergency situation and share your location or simply tap the button and just order a pizza. What’s also so compelling about beacons is the large scope of potential applications that can be developed in various different industries, from manufacturing and construction, to health and retail. There are currently over 4 million beacons spread over the globe. The commercial impact is still proving a bit difficult to put an actual figure on the revenue generated. However, Business Insider projects that $44.5B in US in-store retail sales will be influenced by beacon-triggered messages projected in 2016. That’s a 10x increase when compared to 2015 projections. One thing is certain. Whatever the market value numbers, beacon networks are going mainstream these next two years. What IoT technology/device do you think is totally worthless? There isn’t any specific device that we consider useless. It’s more about understanding how a specific IoT technology is actually enabling people or creating a unique experience. It’s asking ourselves if we really need it and if so, how this experience is impacting a user’s life. We are however concerned with this new vast amount of unprecedented data we are generating to an already cumbersome network. Can you imagine how our notification system will work in five years time using our current approach? Our lives would be on interruption mode. Our apps that feed on these devices and sensors need to be context-aware. They require a microservice strategy. The apps that control these IoT devices require understanding and intelligence. There are great companies tackling these sort of issues such a Snips. The Snips app can analyze all of your data you use on your phone and suggest relevant apps and content within them when you search for something. Snips’s objective is to make technology disappear through the use of Artificial Intelligence and context-awareness. What got you interested in artificial intelligence? Funny enough it actually started at one of my first jobs. In 1997 I ended up developing the University of Porto’s Artificial Intelligence department’s first web site. Pure html markup syntax back in those days. I met these brilliant minds and become curious at the time about what they were working on. But their AI projects seemed so far from translating from the realm of artificial intelligence on paper to practical use. More recently our interest in AI came out of necessity. We developed some very heavy data driven applications that feed on huge amounts of daily information and our clients had to make sense of it. Since then we felt that companies were slowly stopping to focus on data collection and increasingly focusing on the insight from data. And we at Hapibot Studio want to finally make AI accessible to companies. There are three factors that now make investing in Artificial Intelligence viable projects to companies. We are seeing a move away from broad AI to deeper focus on solving very specific business problems. We hear about how powerful artificial intelligence is but it’s usually talked about in a vague, theoretical way. What are some problems that artificial intelligence is already good at solving? There is a lot of hype, noise and misconceptions surrounding Artificial Intelligence. The people who work in AI are not alchemists who turn data into gold and the machines that perform AI are not alive and conscious. Our society needs to be educated about AI and overcome the negative futuristic Hollywood like images people conjure when this topic arises. We need to remind ourselves that AI is already present in our daily lives when we ask Siri for information, search for music in Spotify or find investment advice in Wealthfront. Artificial Intelligence may sometimes sound theoretical because it is a conceptually complex field to explain or when we are confronted with an emerging intelligent system, such as Google’s Deepmind project, doing things in a way that we do not quite understand. Deepmind’s latest achievement was winning Go world champion Lee Sedol by learning by itself how to best play the game using deep neural network learning algorithms. Go is an Asian game that is famous for its deep complexity, boundless possibility of moves and strategic thinking. To most readers, the impact of such an achievement is hard to comprehend. Actually, it marks a historic landmark for the development of artificial intelligence. It is the ultimate test aimed at developing a general model of automatically learning categories from examples. This can now be applied to various areas such as healthcare. The term AI itself is widely applied, sometimes carelessly. Artificial intelligence is a specific field of computer science aimed at the development of computers capable of doing things that are normally done by people. In particular, things associated with people acting intelligently. But we can divide AI into two separate systems. Some AI systems are designed around specific tasks, often called narrow AI. Other systems are designed around the ability to reason in general, usually referred to general or broad AI. The great power of narrow AI systems is that they are focused on specific tasks. In our case, we take this approach and offer our consulting and development services to companies each with their own requirements and opportunities. We help companies take advantage of infrastructure to manage or extract insight from large datasets they store or require to manage their business. We then develop a software that works an algorithm to recommend, predict outcomes or execute actions based on analyses of the available data. Once one of these three possible supervised models are in place, companies gain very valuable analytical insights. Most often it reveals things about their business that went unappreciated. AI is already enabling businesses to understand and predict user patterns, monetize their data, and thus reach customers more effectively with optimized experiences and targeted content. We see this with Amazon’s recommendation engine every time it suggests a book for you. Artificial Intelligence is very good at solving problems within structured and massive data sets. The more data is supervised, the more refined becomes the model. In other words, the more the model is taught through supervised inputs as examples the more refined becomes the algorithm. In such a way that modern AI can in fact match or exceed human capabilities in narrow domains, such as chess or more recently go. It can also extrapolate understanding within large quantities of information by learning to recognize and categorize patterns. IBM’s Watson is good at looking at massive volumes of text, applying thousands of rules that link together questions and possible answers, and build up evidence to base a decision. Today we are seeing certain domains of AI, such as Natural Language Processing (NLP) being commoditized through the use of established algorithms. We can build a smart bot for users to interact with using NLP by very easily integrating our apps with Wit.ai or IBM’s Watson NLP API’s. Imagine being able to ask your software which applicants are eligible for loans? and receiving a report. These types of solutions are being implemented today in every industry. In Media, we can use AI to help increase engagement and retention by providing a personalized user experience. In Insurance, AI can help by intelligently suggest the most appropriate insurance policy and at the most reduced risk. In Advertising, AI can help by enriching user profile data to target and personalize ad campaigns. In Finance, AI can help by spotting emerging trends based on real-time market, customer and social signals. In CRM, AI can help by predicting customer lifetime value, score B2B sales leads and churn. In Health, AI can help medical researchers by matching patients to clinical trials. The list goes on. This isn’t theoretical or wishful thinking. AI is a real movement from the realm of computer science to very practical business uses. It’s one of the most exciting and transformative technologies of our times. What are some problems artificial intelligence isn’t good at solving? Do you think these problems could be solved by artificial intelligence in the future? Artificial Intelligence isn’t good at being creative. AI can in many ways complement creativity through software and other digital technologies, but it is not a substitute. Well, not yet. There are companies trying to challenge this idea in the music industry such as Jukedeck, an AI composer that can create short custom-made soundtracks. But within the domain of creativity, anything related with ideation, and the creation of new ideas is an extremely complex human thought process for a machine to replicate. It implicates inferring the knowledge we’ve experienced throughout our lifetime and predicting various possible outcomes. AI is also greatly used in robots. But executing manual related tasks are actually particularly tricky. Travelling over uneven terrain, picking up a coin off a table or even folding a simple towel are beyond the capabilities of most robots. Robots simply don’t have the agility and the AI to support human like physical dexterity (generating and supporting actions) and to manage the different effectors that allows us to move about the world. NLP algorithms have allowed us to interact with devices such as Siri, Cortana or Google Now, but human interpretation still remains a difficult task to accomplish simply because natural human communication is very complex. Machines therefore don’t excel at comforting, caring or motivating people. Well, not yet. On the other hand, the human brain can deal with complex and incomplete datasets, inferential learning, unexpected changes in rules, and all of the other real-world things that make effective machine learning extremely hard. I’ve repeated the phrase, well not yet, because AI is truly a ground-breaking field of science that is taking huge leaps every year. Large corporations with vast experience in AI have just open-sourced machine learning platforms such as Google’s Tensorflow and Microsoft’s Computational Network Toolkit and freely shared their underlying deep learning code with the world at large. Google and Microsoft believe that this step they can accelerate the evolution of AI. Such steps allow us to tackle singularly every capability (speech, perception, vision, planning, language processing, assessment, learning, etc) that defines an intelligent and cognitive thing. And once we combine these capabilities we can, just maybe, ask a machine to sense, reason and act upon. If we reach this state, we can most definitely see a machine carrying out the tasks it can’t do today. Your team is also interested in augmented reality. I’m sure augmented reality video games would be awesome, but what are some other applications of that technology? Augmented reality is about blending virtual content into the real world to create an immersive user experience. This should not be confused with Virtual Reality, even though we are going to see these technologies overlap in the near future, as we shall see in the much awaited Magic Leap project. AR technology opens a universe of experiences and forms of interacting with content and new dimensions. New interfaces can allow us to personify the consumer experience in increasingly customized ways. As the lines between the digital and physical worlds meld, there is a growing need to design these advanced experiences that flow across and exploit different devices and platforms. In terms of real AR use cases, companies can, for instance, today, eliminate the need to print paper manuals they supply to customers and replace them via an in-app experience or interact with consumers through everyday objects to enhance brand communications and promotions. Mobile apps with a layer of augmented reality work by customers pointing their phones to an object and the app recognizing the product or a specific section of the product. The AR app can then present the user with direct links to tutorials with how to videos (thus replacing paper manuals), allow customers to access deeper information about the product or add a new level of direct interaction with a customer. We’re currently working behind the scenes for a global car manufacturer to deliver similar AR solutions. Where can people learn more about Hapibot and your team’s work? Please check out our website www.hapibot.com, send me an email, hook me up through Skype or Hang Out or simply give us a call. We love meeting new people and discussing new projects and ideas. So feel free to contact us!